If you are living in a rented property such as a studio in an apartment building or a rental in a private house, the insurance possessed by the landlord will only cover damages incurred to the structure in case of unforeseen circumstances and other disasters. However, this does not imply that your prized possessions are safe and secure. It is always better for those renting an apartment or any house to have a robust Brooklyn tenant insurance policy so as to make sure that personal belongings and other expensive items are always protected in case of disasters such as fire, earthquakes or damages caused by any other reason. There are various insurance companies that provide such policies and by investing just a small portion of your monthly expenses, it is possible to cover most of the items in your rental. There are certain policies that also provide financial help for legal matters in case someone is injured within the property covered under Brooklyn tenant insurance. Choosing the right policy is imperative so as to have permanent peace of mind. Here are a few tips to choose a good policy. Take a comprehensive view of all your household items and arrive at a gross cumulative value. Make sure that all items are checked. It is important that you take in the actual price of the item and not some inflated figures. For most renters, a comprehensive tenant insurance policy amounts to an addition of only $20.00 to $30.00 increase in monthly expense. This is certainly a paltry amount considering the level of protection that is provided. There are several online calculation tools that can help in obtaining a minimum monthly premium amount. 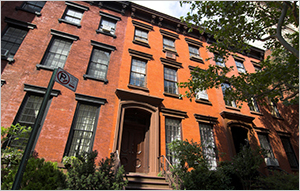 Even if you want to have Brooklyn tenant insurance within a short span of time keep in mind the fact that there are plenty of options to choose from. Do not compromise on any issue that you are not comfortable with. There is always an alternate policy that will fall within the ambits of your expectations. More often than not, you will find that a rigid approach towards having comprehensive protection will propel the agents into providing additional benefits at no extra costs since they would not want to lose out on a probable customer. Akin to car insurance, a tenant insurance policy is keen to reward homeowners that take in the extra care for protecting their house and personal belongings. Most insurance companies will offer discounts on monthly premiums if there are protection elements such as high-grade bolts, surveillance cameras, smoke detectors or an alarm system installed in your home. Reading the policy documents in detail will provide complete insights regarding all the facilities provided in Brooklyn tenant insurance. Do not skip those fine lines as some key issues might get overlooked. There are provisions where existing insurance policies such as car insurance can be extended to cover home belongings at low premiums. However, these may be company specific and hence obtain complete details before investing.